We will show a possibility to add data to an NMEA stream. 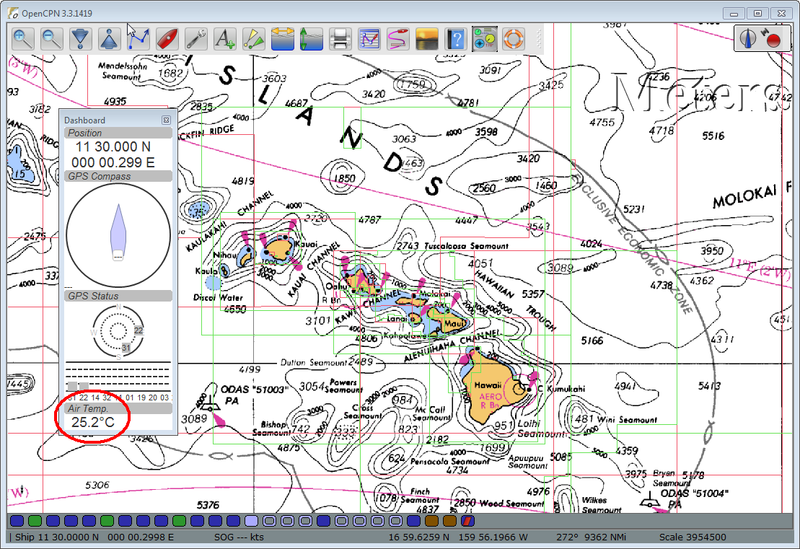 We will use the NMEA Console project as a starting point. You can use a Raspberry PI connected to your NMEA station to rebroadcast the data on HTTP, TCP, UDP, RMI, etc (see here). The NMEA Console now has the concept of user-exits, and the Console can run in headless mode. Turning the data read from the sensors into an NMEA string, and sending them to the already existing NMEA Listeners should not be a problem. No brainer. Done in the NMEA Parser (see project), class ocss.nmea.parser.StringGenerator.java, along with their reciprocal functions in ocss.nmea.parser.StringParsers.java. The Listeners we use are part of the NMEAContext, accessible from the Desktop. We need to use two different lists of listeners, NMEAListener and NMEAReaderListener, one is used to parse the incoming data and put them in the cache, the other to trigger the possible re-broadcasting (which we are specially interested in). The number of sensors that can be plugged in the Raspberry PI is not limited, and growing. A flexible approach is to use the concept of user-exits, already implemented in the Navigation Desktop. Those user-exits can be added on demand, removed, replaced, etc. Perfect for this kind of context. The user exit in made out of two classes. olivsoftdesktopuserexits.Sensor2NMEA, that implements the DesktopUserExitInterface interface. olivsoftdesktopuserexits.rpisensor.AdafruitBMP180Reader, that reads the BMP180 sensor. 9   * and turn the data into NMEA string to broadcast them. Notice the lines 21 & 33. 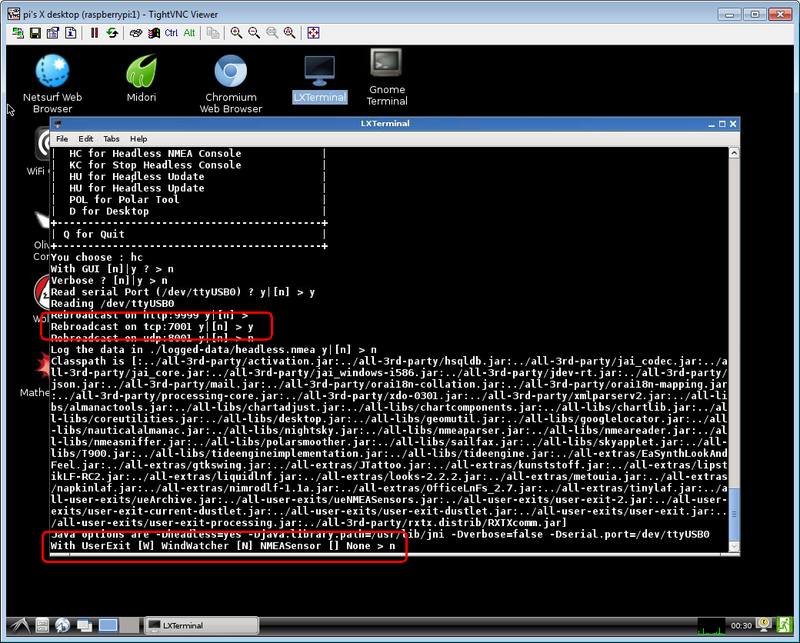 36    // Those 2 next addresses are returned by "sudo i2cdetect -y 1", see above. 111      // "Read an unsigned byte from the I2C device"
126      // "Reads a signed byte from the I2C device"
157      // "Reads the calibration data from the IC"
175      // "Displays the calibration values for debugging purposes"
191      // "Reads the raw (uncompensated) temperature from the sensor"
202      // "Reads the raw (uncompensated) pressure level from the sensor"
223      // "Gets the compensated temperature in degrees celcius"
243      // "Gets the compensated pressure in pascal"
353      // "Calculates the altitude in meters"
402        this.setStandardSeaLevelPressure((int)press); // As we ARE at the sea level (in San Francisco). 422        waitfor(1000L); // One sec. The way to deal with the sensor is the same as the one described in this document. See how the data are turned into an NMEA Sentence on lines 416 & 417. The NMEA Strings are MMB & MTA. I know that XDR is recommended (and available in the NMEA Parser project), but still. See how they are broadcasted to the listeners on lines 419 & 420, invoking the broadcastNMEASentence function, defined line 427. To know how to compile, archive, and use the code as a user-exit in the NMEA Console, take a look at this document. We will turn the sensor data into NMEA MBB and MTA Strings. 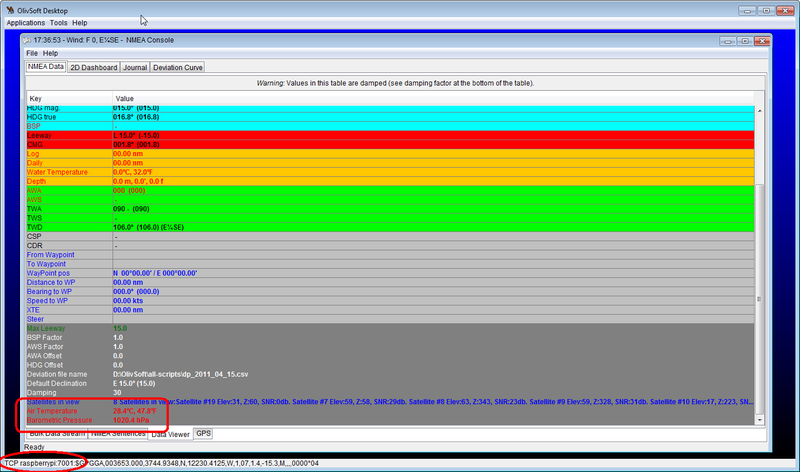 To see how to process the signal from the BMP180, see here, for the code and details. 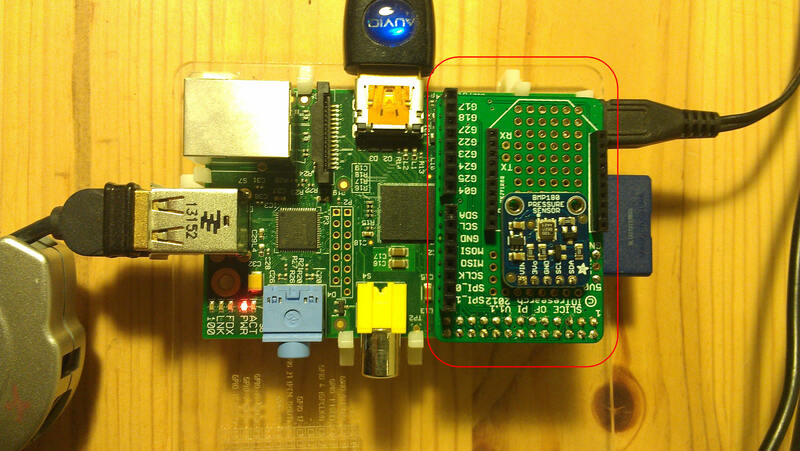 The Raspberry PI, with its BPM180 sensor, on a Slice of PI. 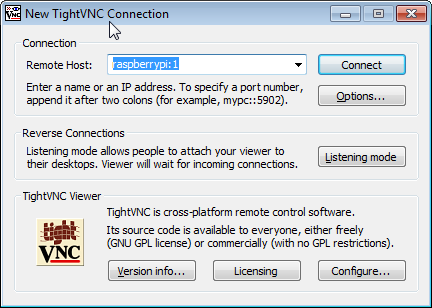 From another machine, connect on the RasPI using - for example - PuTTY, and start the vncserver. VNC is now started, we can connect. Start the "olivsoft" console, and choose HC, for Headless Console. That's it! 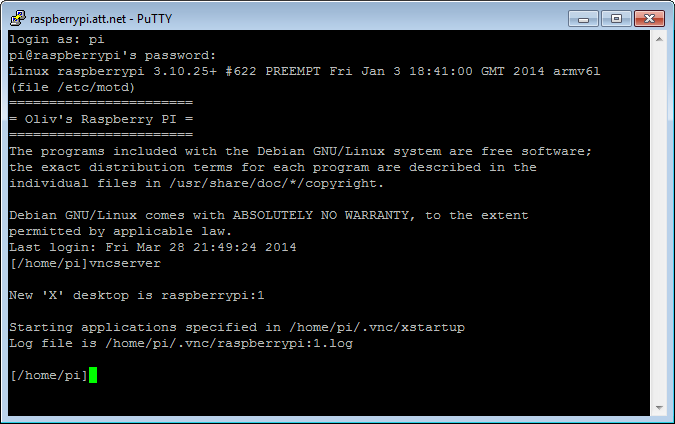 From another machine, access the RasPI (TCP:7001 in this case), and check out the Data Viewer. The Air Temperature and Atmospheric Pressure - coming from the BMP180 connected on the RasPI - are available in the list, good for display, for logging, rendering..., whatever can be done with all the other data. Whatever understands NMEA cannot tell the difference. Here is OpenCPN.